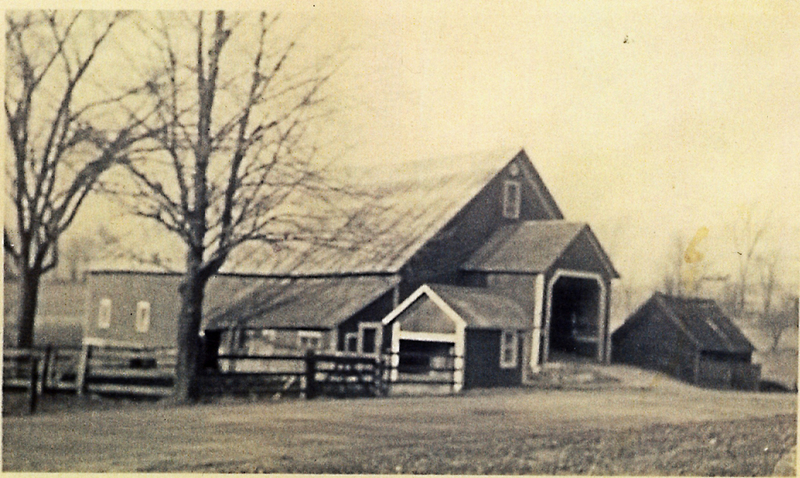 The Skinner Barn and the Joslin farmhouse across the Common Road have long been landmarks in Waitsfield. They sit up on the eastern ridge of the Mad River Valley, just below the Waitsfield Common. 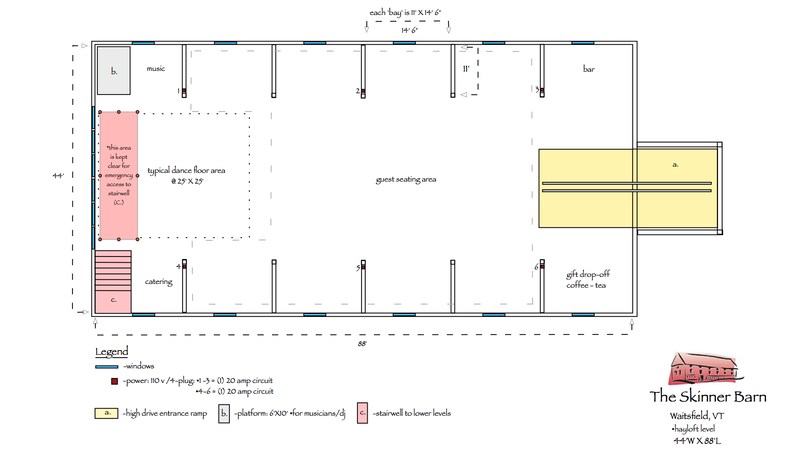 As noted in the History of Waitsfield by Matt Bushnell Jones; At the first meeting, held on March 25, 1794, for the organization of the town, a committee…was chosen to ‘Lay out a Meting Hous Spoat and Other Public Yard’. The spot chosen became the Waitsfield Common, located just up the Common Road from The Skinner Barn, and there …for more than forty years the political and religious life of the town centered. The Second Centre Schoolhouse was located on the corner opposite the house but the barn and farmhouse are the only remaining historical buildings left to define this once busy intersection. The farmhouse was built for Dr. William Joslin, who was born in Lancaster, Massachusetts in 1780 and moved to Waitsfield where several of his brothers had already settled in 1805. 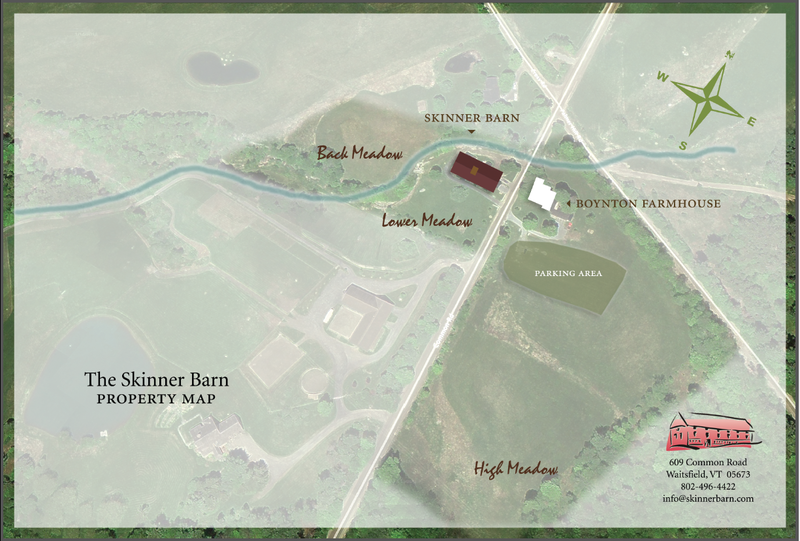 The Skinner family is one of the original families of Waitsfield, and operated the farm for many generations. Henry Orlando Skinner was born in 1827 and in 1854 he and his father Daniel bought the house built in 1820 for Dr. William Joslin and developed a hundred-acre farm. His son, Daniel H. Skinner built the current Late-Bank Barn in 1891. The original hex sign with the faded 1891 date at the east peak of the barn has been replaced with an exact copy fashioned by local sign-builder, Sparky Potter. Harold Stafford acquired the farm from Daniel H. Skinner’s estate in 1927 and he and his wife Alberta raised their family and operated a dairy farm and guesthouse for summer visitors. They kept the property until 1988 when Jim Leath bought the hundred-acre farm and began to subdivide it. At this point in time, current owner, Peter Boynton, bought the farmhouse and ten acres of land across the street from the barn. He added the barn and five acres of land in 1993 in an effort to save the barn with an eye to renovating it for use by the community.